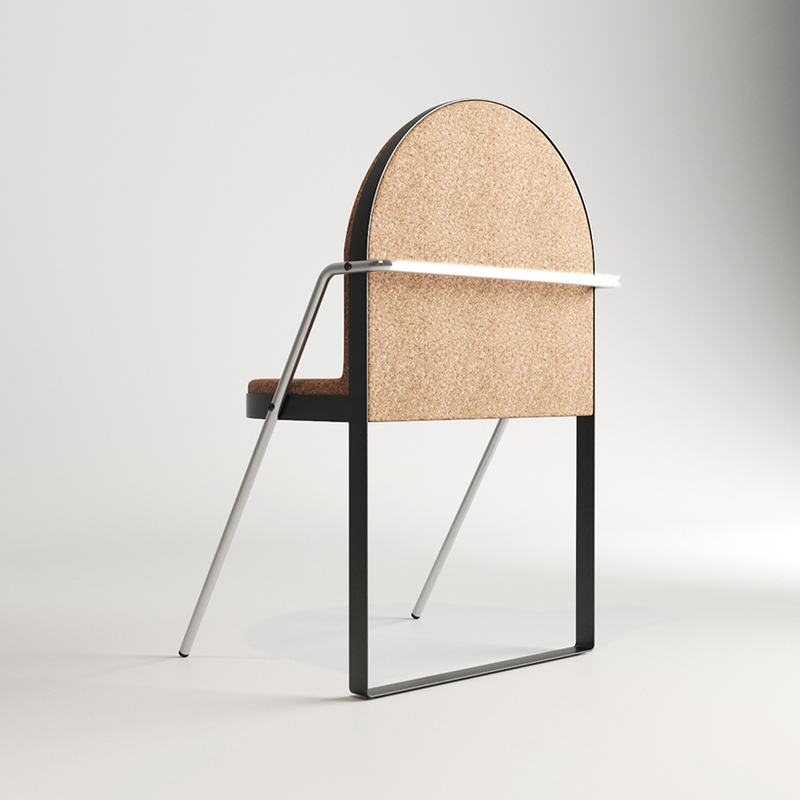 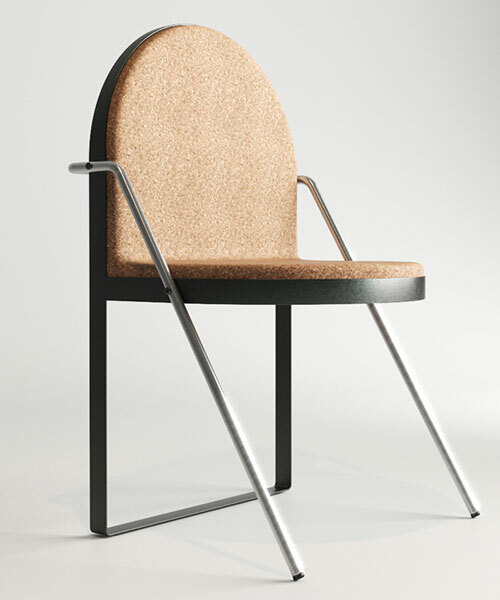 russian visualization architect koloskov dmitry of KDVA studio creates a simple yet elegant cork-clad armchair. 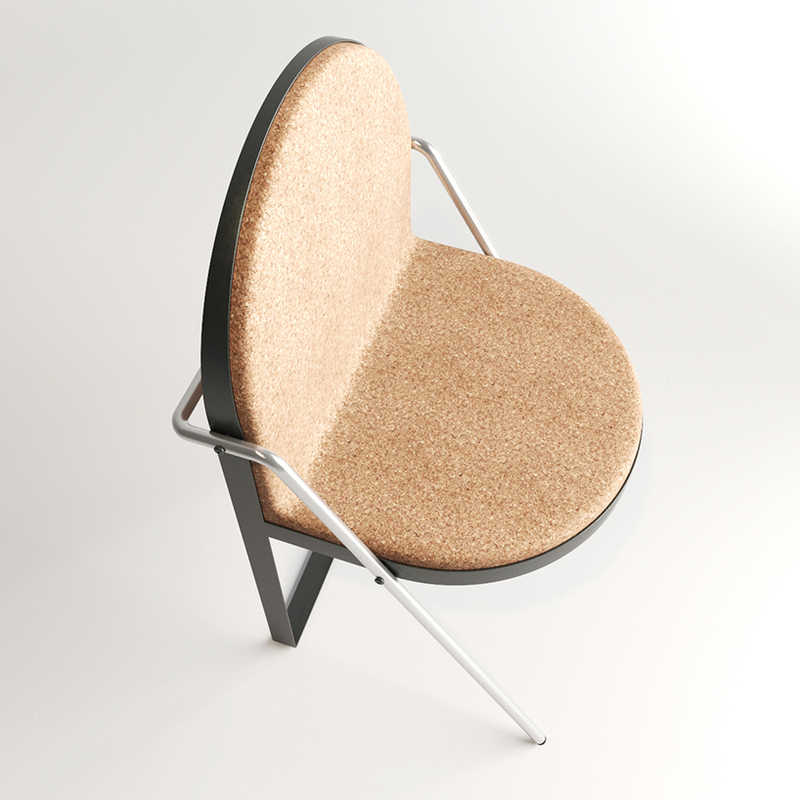 dating back 4,000 years, the chair found in the ancient east has never lost its form. 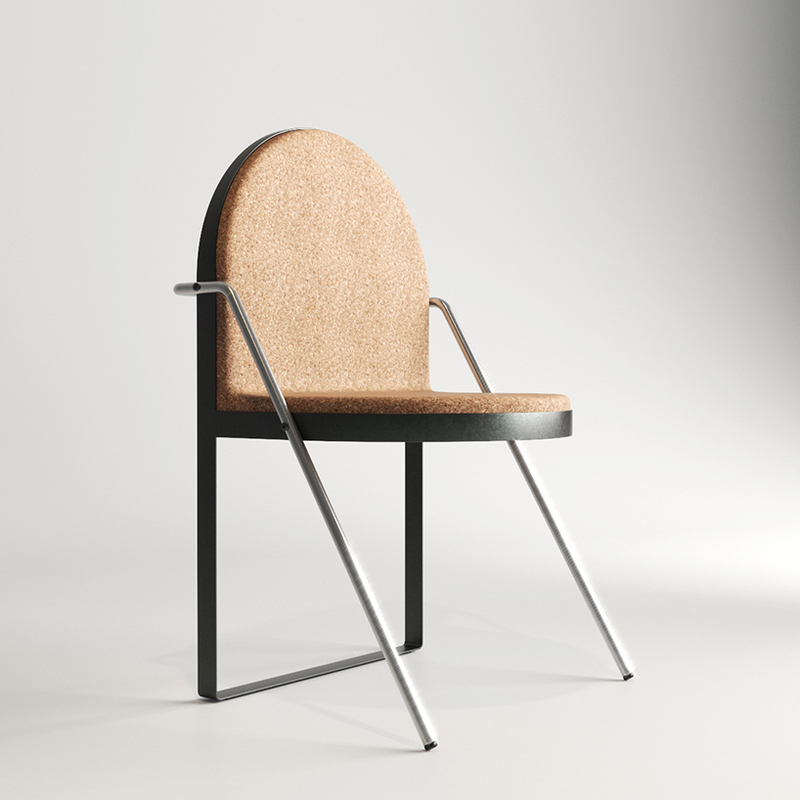 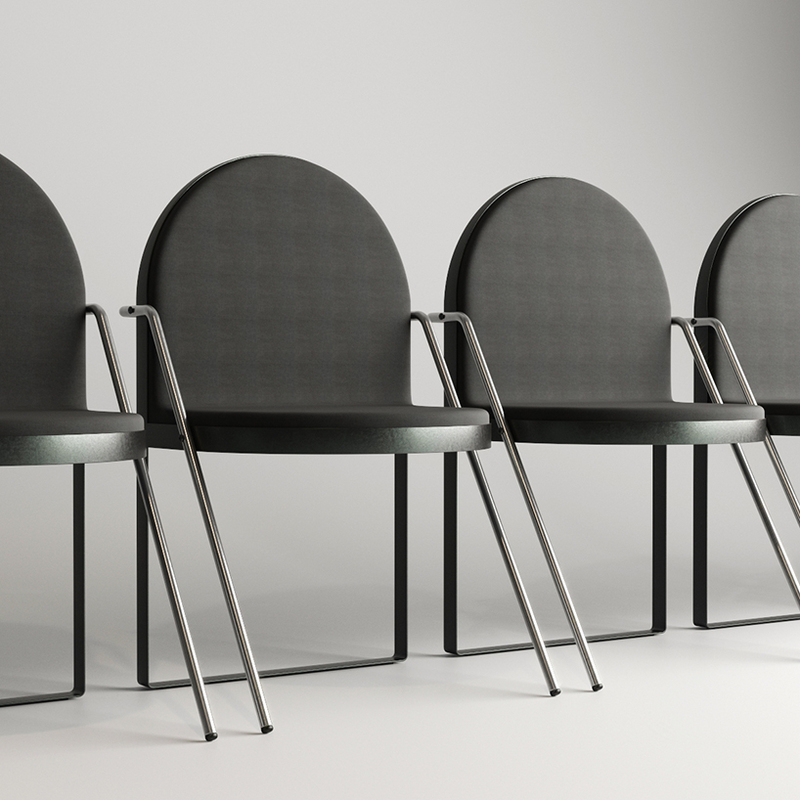 the ecological archair is made up of two arches: the seating area and the chrome feet.